Flashback, an excellent 1992 adventure platformer from Delphine Software, may soon be accessible to a whole new generation of gamers thanks to a planned HD remake. An unconfirmed report of a new Flashback project has surfaced on French site Gameblog, which received an image showing off some fancy new graphics for Conrad’s adventure. The image was sent by an anonymous source, and no further details such as date or platform were provided. It’s not even clear if we’re looking at a remake, sequel or just a bit of fan art. That said, France’s CNC, an arts funding body, has awarded €300,000 to Vector Cell, a studio founded by Flashback designer Paul Cuisset, for something called Flashback Origins. Also, it’s an excellent idea, so I’m filing this one under “quite likely”. 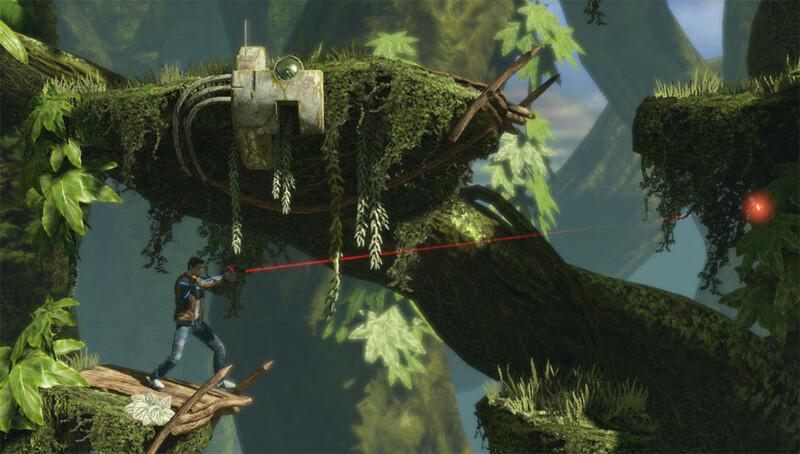 Flashback was a Prince of Persia-style cinematic platformer with puzzle adventure elements. It appeared a year after stablemate Another World and the two are often compared and contrasted as highlights of the genre. I was a big fan of this on the SNES. The cutscenes were cool. Never beat the game, though. I heard it might be like shadow complex but I am not sure of that. Loved the original on the Amiga, would definitely get this, hopefully we'll get the same treatment for Another World. This is one of the few games I had for my Atari Jaguar. I loved it then.